For years, companies have been developing “individual” e-learning courses to meet the training needs of their staff members. But, in recent times, many firms are going in for e-learning curriculums. Why are organizations choosing to develop online curriculums instead of single e-learning courses? How do curriculums improve e-learning development efficiencies and help impart better training? 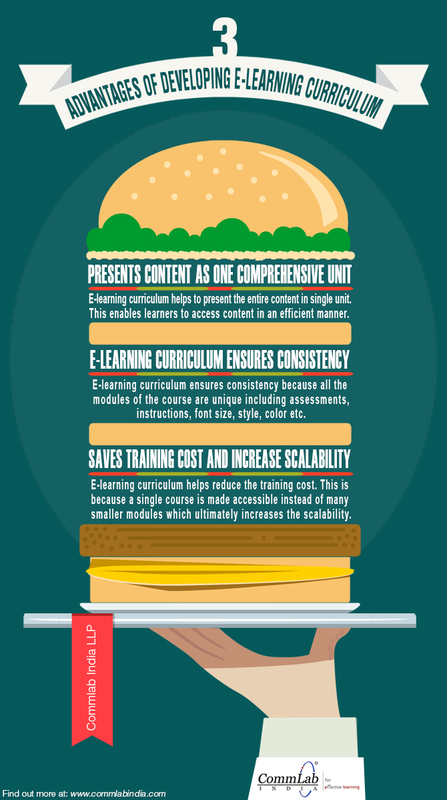 Well, here is an info-graphic that lists 3 major benefits of developing e-learning curriculums. Hope you find this post interesting. How do you use e-learning curriculums? We’d love to know.